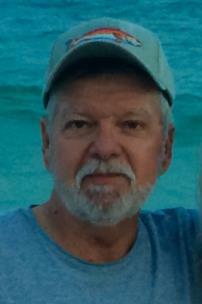 Raymond Gerald Yates, 67, received his ultimate healing on Saturday, January 19, 2019. Born on April 4, 1951 in Charleston, Tn., he was the fourth of 11 children born to Boyd and Theo Yates. He was drafted to serve in Vietnam in 1971. He began his career with TVA upon his return and was a faithful employee for 32 years, retiring in 2009 from Raccoon Mountain Pumped Storage Facility. He is preceded in death by his father William Boyd Yates and is survived by his mother Stella Theo Yates, his wife Wendy Brumlow Yates, son Elliott (Caitlyn) Yates, daughter Alexandria Yates, daughter Torey (Jed) Walker, along with sister Ann (Bill) Womac, sister Jean (Larry) Blair, sister Faye (Ben) Chism, brother William Yates Jr., brother Douglas Yates, brother Michael (Rosemary) Yates, brother Randy (Carol) Yates, brother Matt (Cindy) Yates, sister Kathy (Mike) Rose, sister Kim (Barry) Queen, and a host of nieces and nephews. Visitation will be held at East Chapel of Chattanooga Funeral Home on Moore Road on Tuesday, Jan. 22, from 4-8 p.m. and on Wednesday, Jan. 23, from 12-1 p.m. Officiating the celebration of life will be Troy Walliser and Greg Steele. Interment will take place at the Chattanooga National Cemetery with full military honors on Wednesday, Jan. 23, at 2:30 p.m. In lieu of flowers, please consider donating to the American Cancer Society or Lookout Valley Baptist Church Building Fund.